Welcome to Hawthorne Apartments in Phoenix, Arizona! Offering beautiful apartments for rent in a resort-style community at an affordable price, our pet-friendly community is a wonderful place to call home. 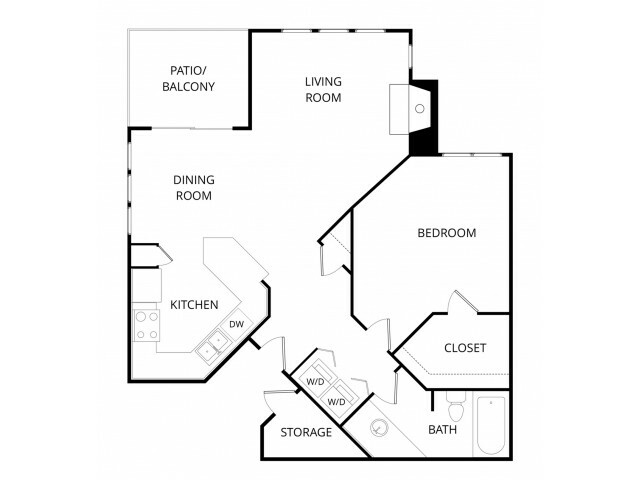 At Hawthorne, we offer 1, 2 & 3-bedroom open floor plans that are impeccably designed. Our elegant kitchens are equipped with white-washed oak cabinets, self-cleaning ovens and complete kitchen appliance packages. Other standard features include full-sized washers and dryers, plush carpeting, meticulously crafted ceramic tile entries, grand vaulted ceilings, spacious closets, welcoming gas fireplaces, and beautiful private patios and balconies. You'll enjoy our community amenities, too: take a dip in our luxurious swimming pool, relax in the spa, and get in a good workout at our state-of-the-art fitness facility! You'll find Hawthorne Apartment Homes in a prime location right off the Papago, Black Canyon, and Piestewa Freeways. There are plenty of shopping, dining and entertainment destinations to ensure you will never be bored! Take a quick stroll to Copper Star Coffee to snag a smoothie or light lunch, peruse Natural Grocers to find fresh organic produce and supplements, or stop by Safeway on your way home to pick up groceries. Just down the road, you can create great memories at the Arizona State Fair, learn about Native American history at the Heard Museum, spend a day on the green at the breathtaking Phoenix Country Club, or have a fun time shopping at the extraordinary Park Central shopping center. If you're looking for a great Phoenix apartment that has the luxuries of resort living combined with the comforts of home, then Hawthorne may be the perfect spot for you. Schedule your tour today and let us help you find your new home! Prices, availability, lease terms and specials are subject to change. Actual floor plan may vary. Check with community team regarding utilities that may, or may not, be included in rent. Contact the community team for terms not listed.